Jupiter is now in the morning sky, I woke up early on June 8th and took this pic as it started getting light out. 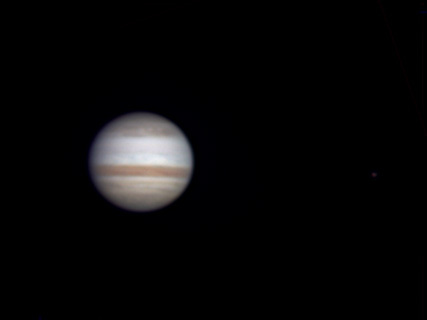 Jupiter has gradually lost one of its two, reddish-brown belts this year. If you compare this pic to one of mine from last year, this missing belt is real obvious.